Is it time to shake up your post-workout protein routine? Protein powder can be a tremendously valuable tool for building muscle and reaching your fitness goals, but drinking the same old protein shake day in and day out can get boring. Thankfully, protein powder is a versatile ingredient that can be used to create delicious treats and sweets. When made with protein powder, these baked treats (enjoyed after a tough workout, and in moderation) are actually good for you! Now you really can have your cake and eat it, too. 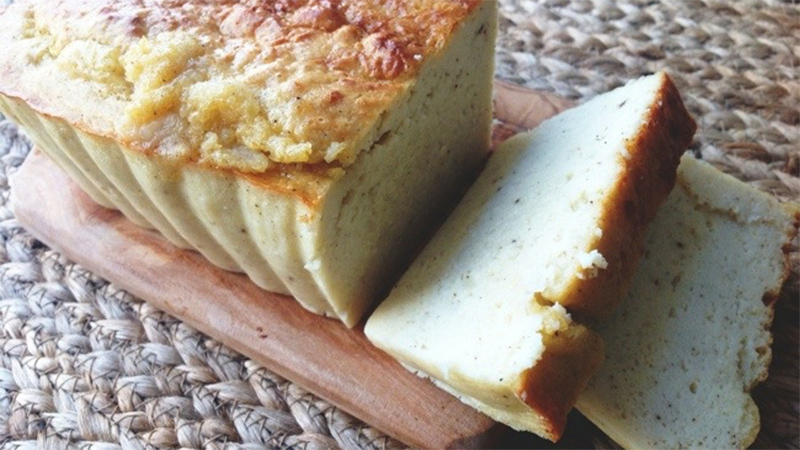 This recipe for vanilla protein pound cake makes for a dense, luscious-looking baked treat that only looks like it could derail your diet. To be used as pre-workout fuel, post-workout recovery, or as a snack any time, this vanilla protein pound cake has a secret ingredient: steamed cauliflower. You can have three full slices in a serving, and take in a whopping 37g of protein to help you reach your fitness goals. 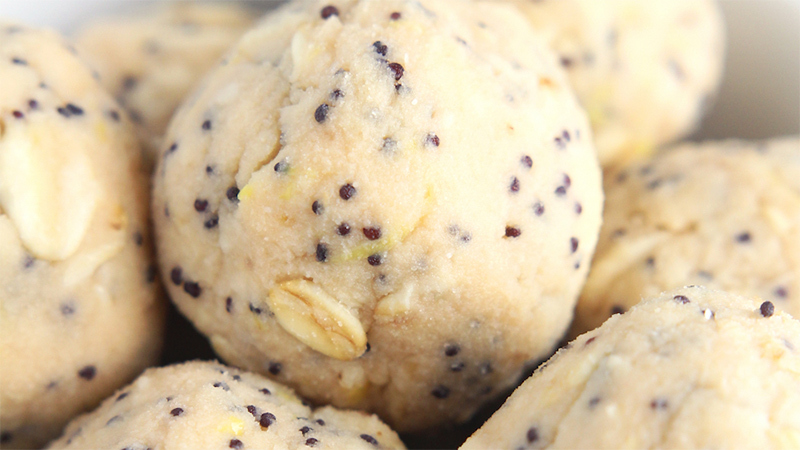 The perfect, bite -ized snack to keep you full and satisfied, these lemon poppy seed energy bites are low-carb, low-calorie (less than 150 per bite), and feature over 17g of protein per serving. This recipe uses a vanilla-flavoured vegan protein powder, and includes oats, poppy seeds, and the juice and zest of fresh lemons. If you use gluten-free oats, you can make this a gluten-free, vegan protein powder recipe. 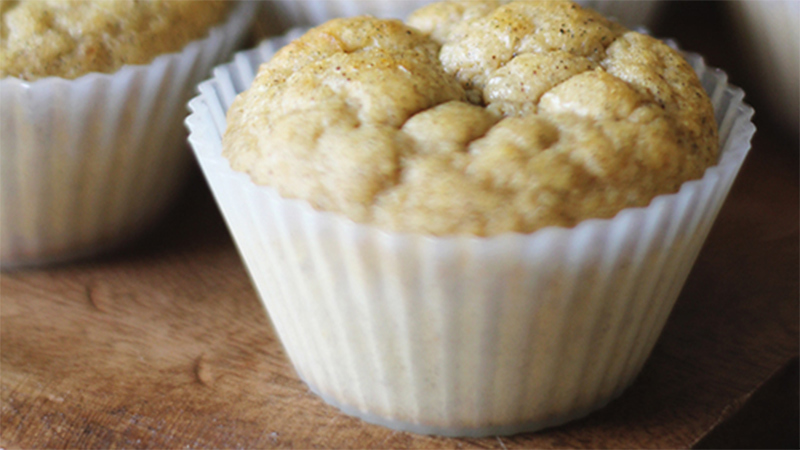 Proof that baked goods can be free from sugar and flour while still tasting delicious, banana bread protein muffins are perfect for breakfast or a snack. The whole family will enjoy these scrumptious muffins, and the addition of egg whites and greek yogurt to vanilla protein powder assures that they will keep you full and satisfied. Whole grain oats make this a great pre-or post-workout treat as well, as a combination of complex carbs and protein is best for giving your body maximum results. When a chocolate craving strikes, there is no reason to throw your clean eating and diet plan to the wind. 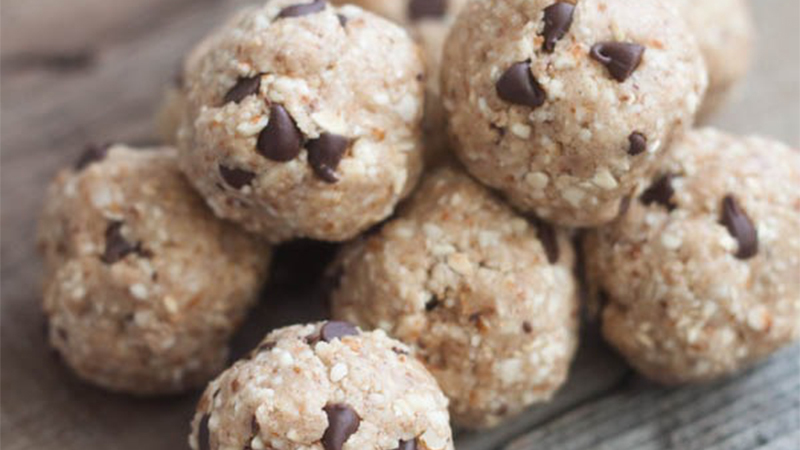 “Indulge” with chocolate chip cookie dough protein bites and stay on track. You’ve never had a chocolate chip cookie as healthy as this bite. Raw cashews or almonds are a great source of minerals and heart healthy monounsaturated fats, while whole-grain oats can help lower cholesterol. Meanwhile, the vanilla whey protein powder supports muscles and promotes weight loss. The recipe calls for milk chocolate chips, but you could substitute vegan or Paleo chocolate chips to make this suit any diet plan. The smell of coconut macaroons baking in the oven might make you think of a decadent treat, but these clean eating coconut macaroons can help you stay on track when you’ve got a hankering for something sweet. 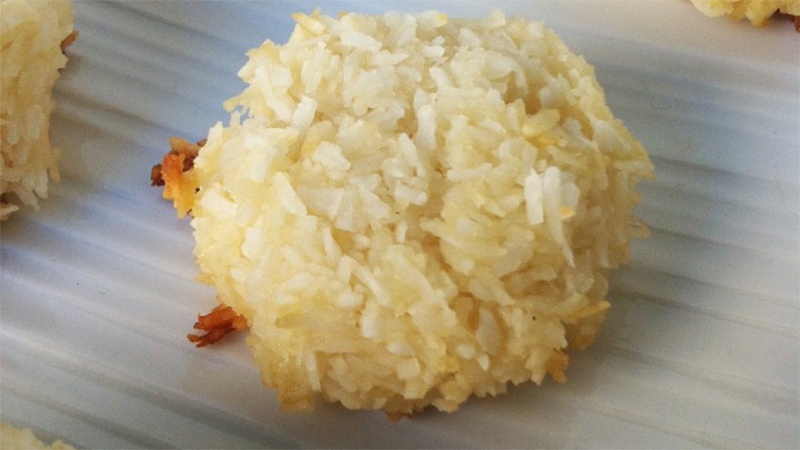 This simple recipe uses vanilla protein powder and egg whites to give the macaroons the puff and lift, but unsweetened shredded coconut is the real star, offering both healthy fibre and a delicious flavor to this protein-powder cookie. Protein powder is an excellent tool to help you reach your fitness goals, and can benefit just about anyone who is trying to grow strong and increase muscle mass. Don’t forget that vegans and vegetarians have many options for protein powders as well, including hemp, pea, brown rice, and soy protein. You can try a variety of powders to find the ones that work best for your particular needs. No matter what protein powder you choose, remember: You don’t have to be stuck in permanent-protein-shake mode. There are so many ways to use protein powders, and these are just a few tasty examples.